A successful service is all about asking the right questions to help identify the cause of the problem. This enables us to quote you as accurately as possible. We always endeavour to explain complex mechanical issues in simpler layman terms. You can feel confident and satisfied knowing that we’ll take the time to answer any questions you may have. There are many misconceptions about manual gearboxes. Most common are issues relating to noise Misdiagnosis of the gearbox problem can be very costly. There can be several reasons for noise, the first of which is when pressing the clutch and the noise disappears it can be incorrectly diagnosed as being the thrust bearing, and in many cases it is assumed that a replacement clutch is required, when in fact it works the opposite way, when pressing the clutch it is then that the thrust bearing is engaged and in turn prevents the spinning of the gears & bearings. Professional diagnosis from 1 or 2 sources is wise. The second most common gearbox problem is ‘crunching’ when selecting gears. This can be attributed to a couple of things. Firstly a worn clutch will cause the gears to continue spinning when clutch is applied not allowing the gears to stop spinning to allow the synchromesh and slider to align/engage gears and inhibiting a smooth change between gears. 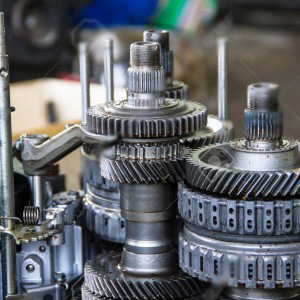 Continuing to drive with a worn clutch will inevitably cause wear of the synchros and gears, and possible breakage which can further increase the cost of repairs, as metal fragments can also damage gears and bearings. Sometimes ‘crunching’ can be caused by premature wearing of 2nd & 3rd synchromesh, which are the most commonly used gears, and is particularly common in vehicles where stop and start driving takes place e.g. city traffic. Here at Gearbox Solutions we offer a no obligation – free diagnosis of all makes of cars, trucks or 4x4s. So give us a call today. There can be many reasons for this occurring. Each make & model can be different when selecting & loading the gear it jumps out, this can be from worn dog teeth & slider/s (this wear is normally caused by crunching in gears). Several other causes may be as simple as a worn shifter bush, worn selector forks and sometimes shifter cables may require adjustment and in some cases the clips attaching the cables may have broken or just become detached. At Gearbox Solutions we diagnose and check every possibility before carrying out any work, saving you unnecessary expense. If your vehicle is not able to be driven, we have a tow service available for the Sydney Metro area. This is just another way we can save you money on your service. For those of you that have the time to bring your vehicle to our premises, we offer a free scan and computer diagnostics as well as a test drive from one of our friendly staff. 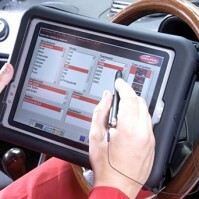 This ensures that no unnecessary work is carried out on your car. We stock a large range of manual and automatic transmissions as well as diffs that are ready for installation. We may have one that you are looking for, if we do have the one you are after, we can in most cases have your vehicle in and out in the same day. This reduces the amount of time your car is off the road!